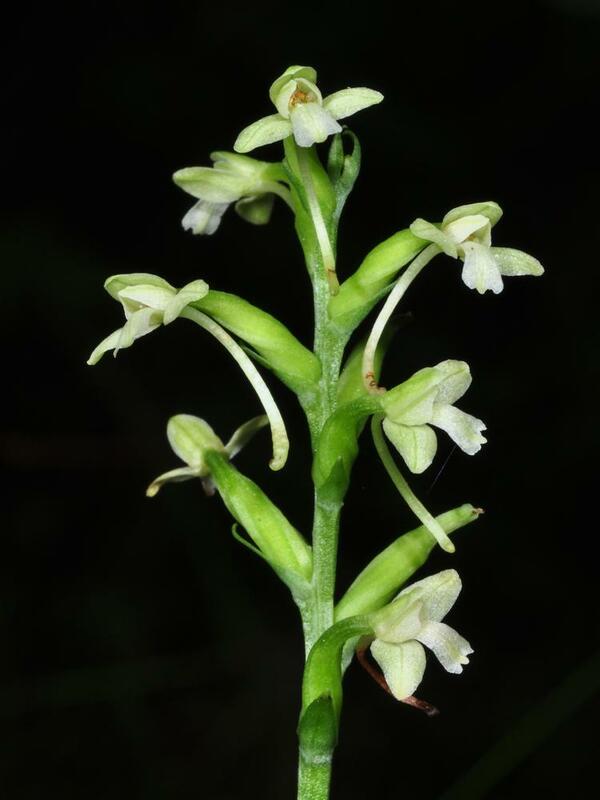 Platanthera clavellata, the Little Club Spur Bog Orchid, is broadly distributed across central and eastern Canada and the U.S., from Texas to Newfoundland; in fact, it is one of the most widely distributed species in its genus. 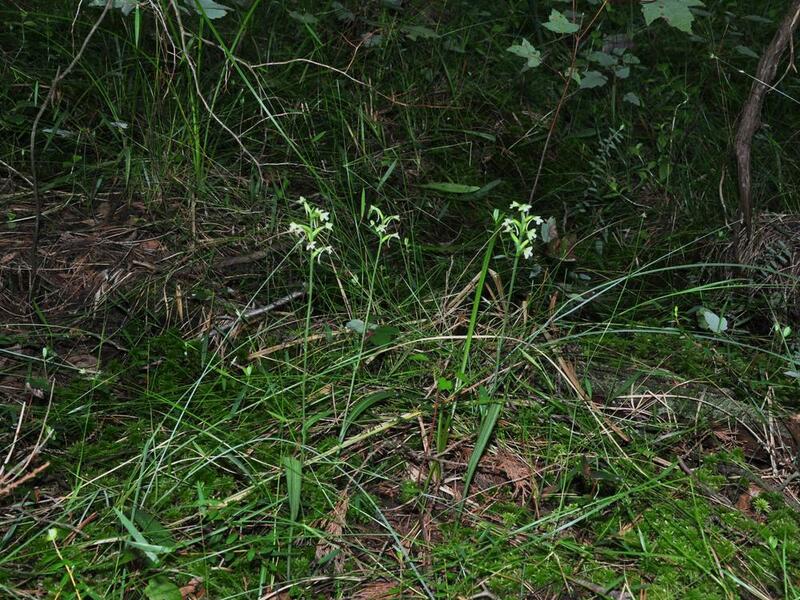 It produces 1 to 3 stem leaves, usually in the middle or lower half of the stem, and bears a somewhat dense inflorescence of up to 15 small, inconspicuous flowers. 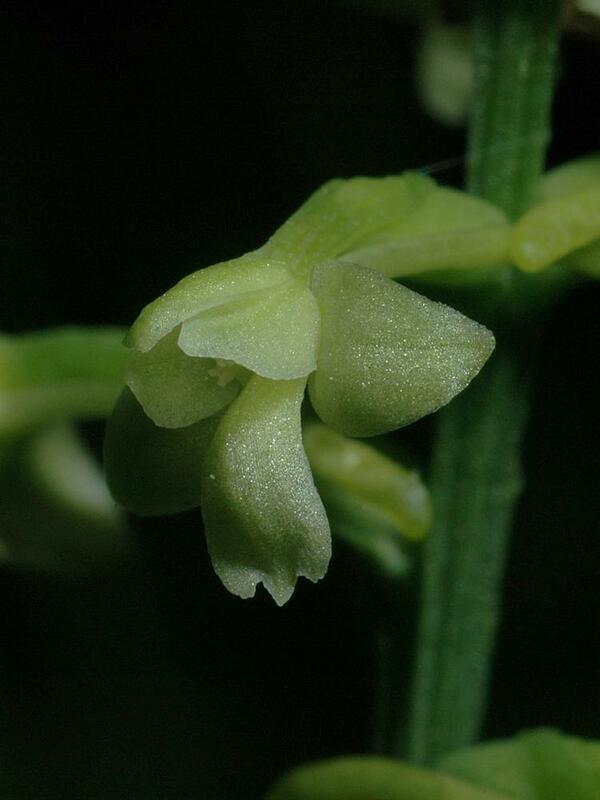 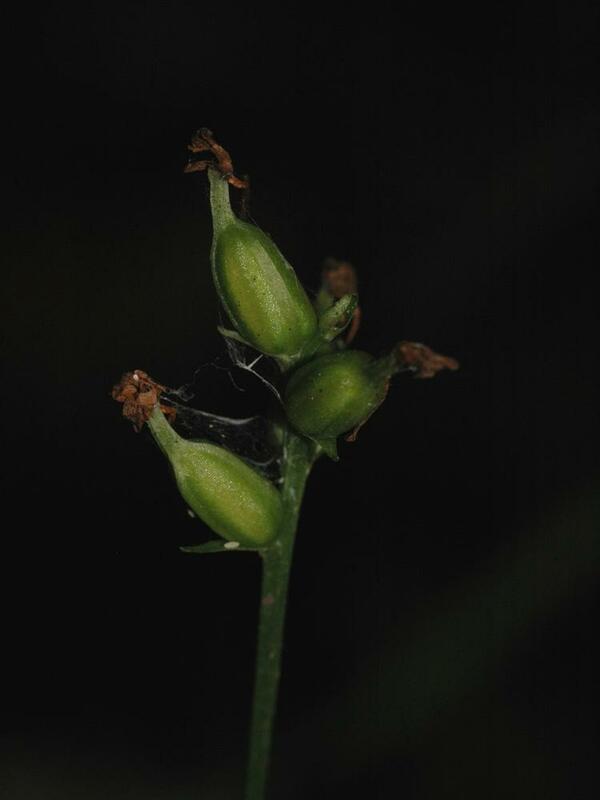 The flowers are yellowish green or white and are often incompletely resupinate (rotated 45 degrees instead of completely). 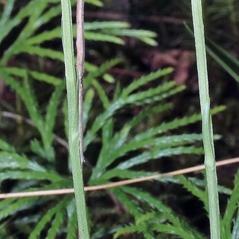 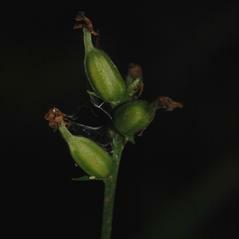 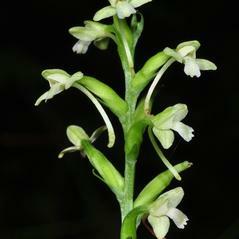 The labellum is slightly three-lobed, and a thin spur extends from the back of the flower. 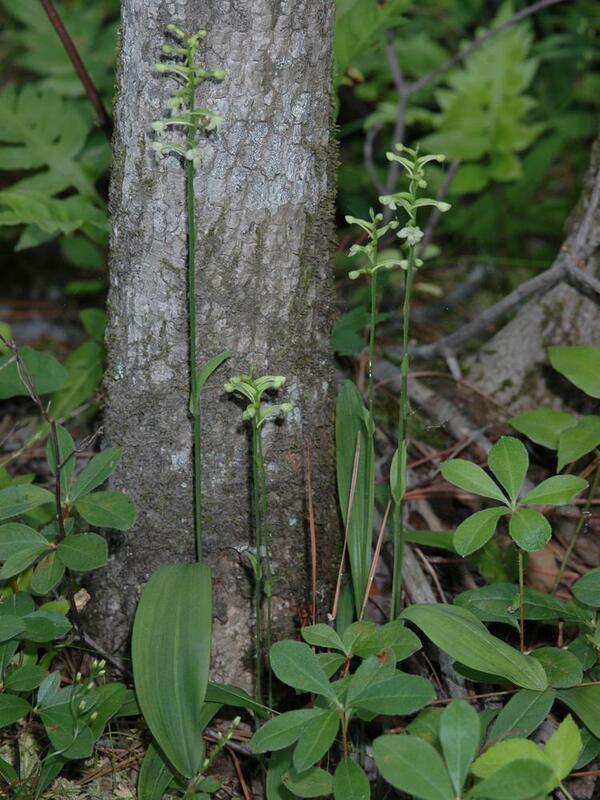 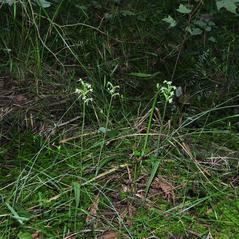 This orchid is found in bogs, moist meadows and prairies, marshes, swamps, and woodlands, as well as along roadsides. 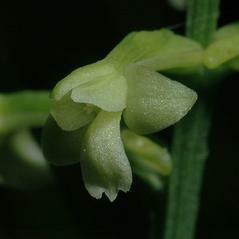 It is known to rarely produce a hybrid with P. blephariglottis, named P. x vossii. 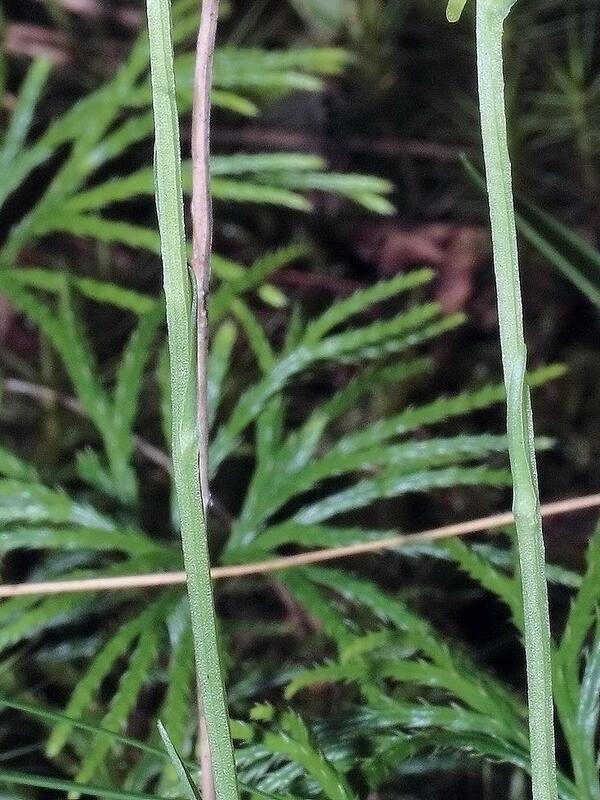 P. clavellata is considered globally secure, and is widespread or common throughout much of its eastern range. 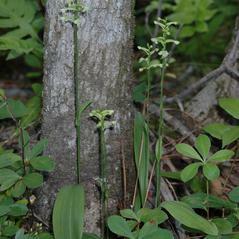 This orchid is capable of self-pollination, although insects have been observed visiting this orchid.